There’s a wealth of information to sift through this month, such as pre-announcements, earnings reports, and jobs reports. Not only do you have to digest it, but also anticipate how it will impact the markets. It’s easy to feel a little distressed. Your confidence may be shaken by the uncertainty of it all. What will the reports say? How will the news impact the markets? Can you actually anticipate the impact and capitalize on it? It’s at these times that the proper winning mindset can be invaluable. It is vital that you feel you can overcome any obstacle, and do the hard work required to make it through this month. When there’s a lot of work to get done, a winning mindset helps you keep going. A winning mindset isn’t an unrealistic mindset, though. For example, it doesn’t mean that you erroneously think that you can do the impossible. Instead, it’s about getting yourself psyched up to be able to do a heroic, yet realistic, amount of work. When you must do more work than seems possible, it is easy to feel overwhelmed, as if you couldn’t get the work done no matter how hard you tried. When you feel frustrated and overwhelmed, you may tend to give up too easily. You may procrastinate or goof off instead of getting down to business. But if you cultivate and sustain a winning mindset, you’ll persist even when it seems impossible to achieve your objectives. It’s useful to cultivate a fighting spirit. Don’t think that you are omnipotent or that you can do the impossible, but remind yourself that if you can psych yourself up, you can make a big difference. Think positively: “I can study the markets if I put my mind to it. If I take decisive action, I can get through this rough patch of trading. My hard work will pay off.” You must think positively, but it’s also vital to have realistic goals. Don’t set yourself up for a disappointment. Don’t think, “If I try hard enough, huge profits are guaranteed.” It’s better to think, “If I try my best, I will be able to capitalize on opportunities that come my way. When you feel you have done all that you could possibly do given the time you have available and your skill level, you’ll be more willing to accept what fate has in store for you. The best you can do is try to gain as much control as possible, and pat yourself on the back for making the best effort that you can make. It doesn’t guarantee success. Success is never guaranteed, but hard work usually increases your odds of success substantially. And when you are ready to accept all possibilities, you usually feel relieved, and act in a calm, objective manner. This state of mind can often lead to success. There’s going to be a lot of extra stress this month, but don’t let it get you down. 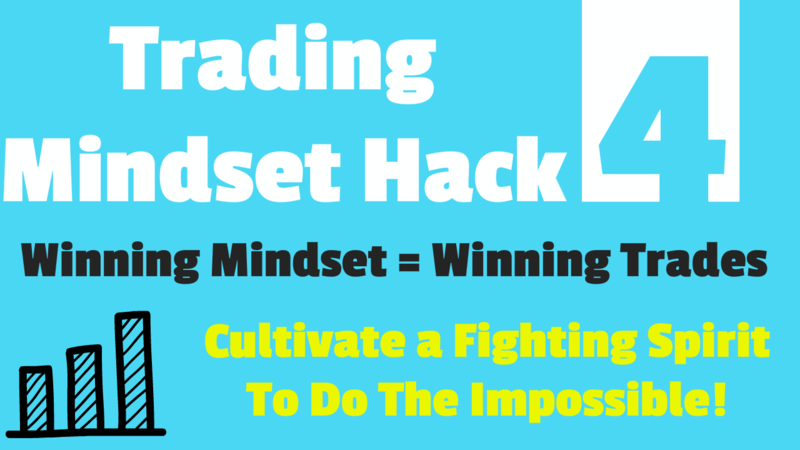 If you can cultivate a winning mindset, you’ll be able to handle anything the markets throw at you, and you’ll end up a winning trader in the long run.